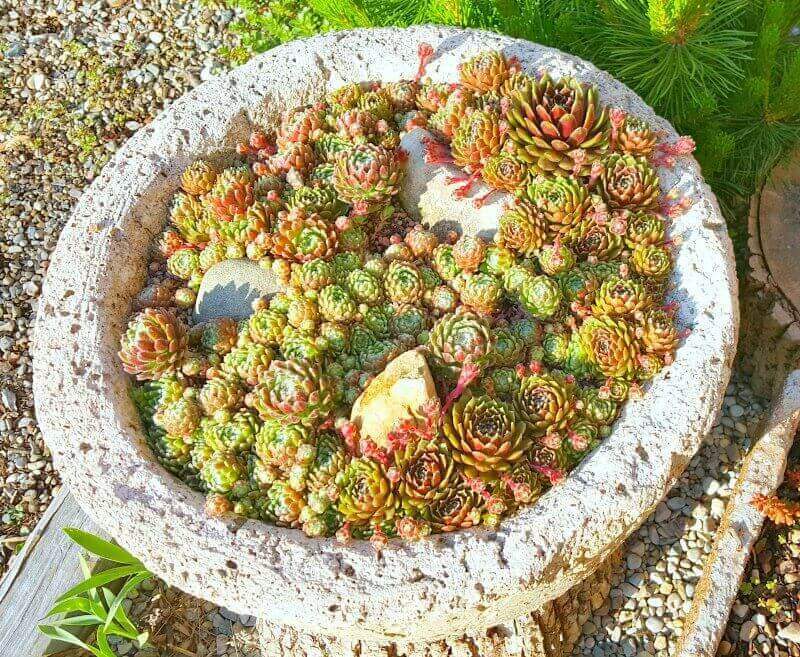 July 2014, I made and planted up my Little Tufa Bowl. Well, the truth is, that bowl is not really so little. 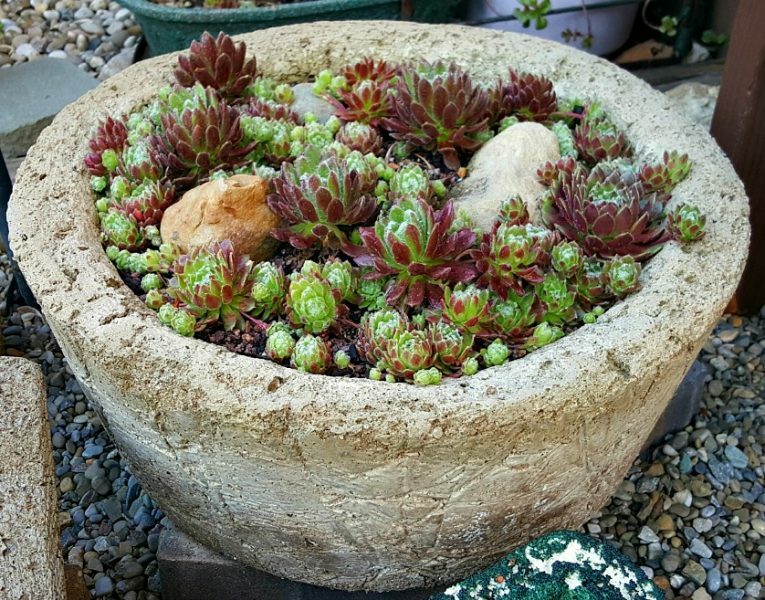 It is a fairly large bowl (15 inch diameter and 6 inches deep) and I filmed a video of me planting it up. I have attached the video below so you can check it out again. I guess if any proof is needed that the Express Leaching works, this is my testimonial. 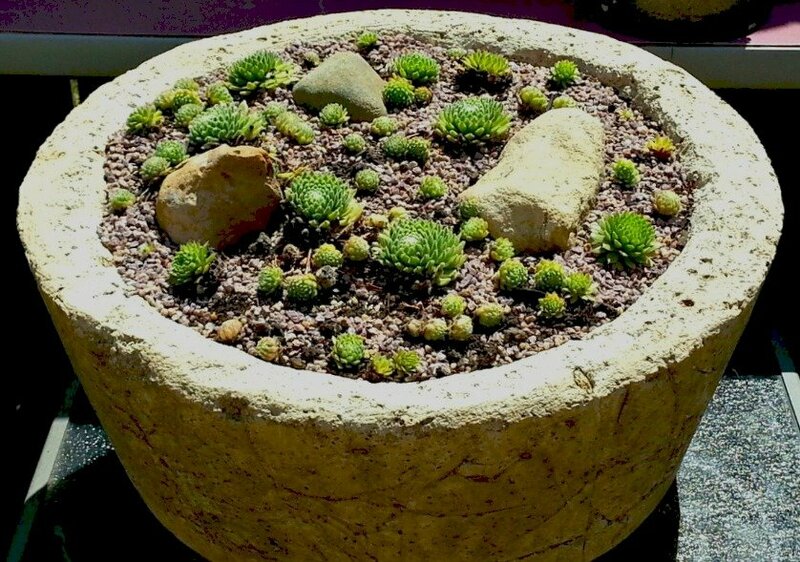 This hypertufa bowl was made and planted up quickly by using my Quick Leaching method and the growth has been wonderful. Here is the one minute leaching video. 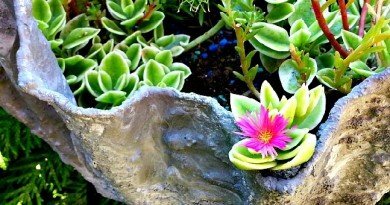 And it is that same “Little Tufa Bowl” I am featuring in this post. But now we get to see how it has grown. It has done so well these past years. 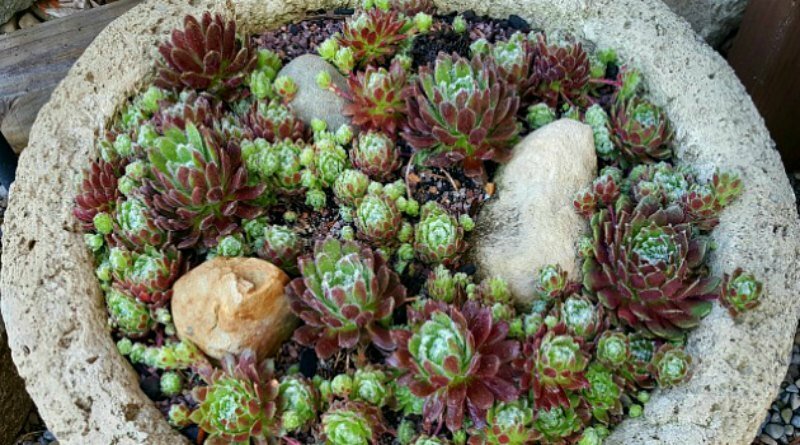 I have been out taking photos from different angles so that I can represent the same view and you can see how well the sempervivum have grown in it. Here is a series of photos from when I first planted it up in July 2014, and the second photo is what it looked like one year later. The third photo is from the following year on a very sunny morning. Notice that the hypertufa pot looks as good as new. 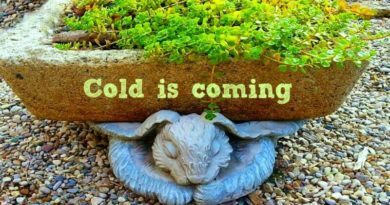 This little tufa bowl is outside all winter long buried in snow and ice and it is still in great condition. What do you think? I am so pleased and happy with these sempervivum and their coloring is so pretty in the springtime….not to mention all year long. I would like to go back and compare a lot of my hypertufa containers, but that might be a future post. 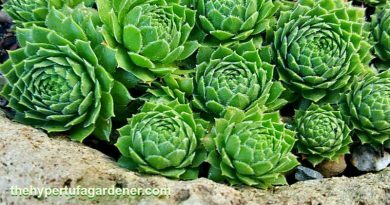 These sempervivum have grown so well and I have been able to harvest them for a lot more containers. Semps are the gift that keeps on giving. Meanwhile, here is the movie I made when I was planting it, so that you can see the soil mix and placement of those semps. Isn’t it awesome that the rocks are all smothered now by the semps? I must go make more hypertufa bowls. It is obvious I am going to have a lot more sempervivum to plant so I will need a lot more of them, right? I think my hens are very fertile, don’t you?